We combine our key ingredients with a uniquely tailored mix of marine algae. 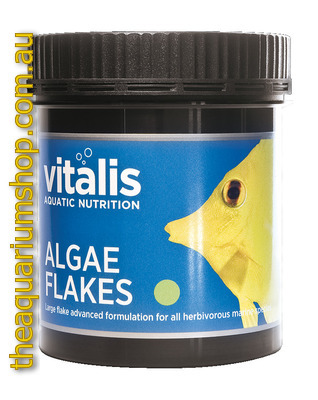 These include nutrient rich species harvested in UK waters to bring your fish a herbivore flake with an enhanced nutritional profile. Recommended for: Marine Angelfish, Damselfish, Clownfish, Butterfly fish, Wrasse, Rabbitfish, Surgeonfish. Composition: Fish and fish derivatives, derivatives of vegetable origin, molluscs and crustaceans, oils and fats, vitamins, minerals.